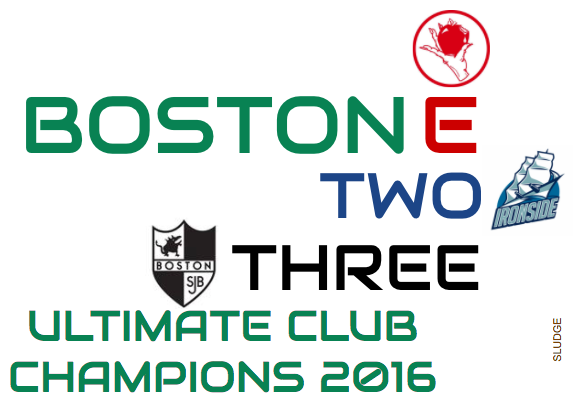 All three Boston teams won their division championship today at 2016 USA Ultimate Nationals. Even more impressive is each team prevailed after trailing at halftime. 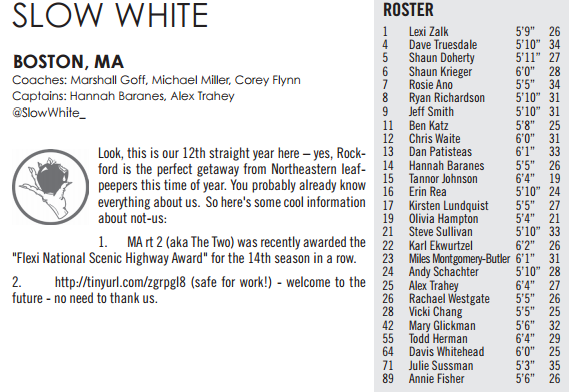 Boston Slow White [#2 seed] won 15-11 (6-8 half) over Metro North [#8 seed] from Mianus, Connecticut. This is Slow White's first national championship. Boston Ironside [#1 seed] won 14-13 (6-8 half) over San Francisco Revolver [#2 seed]. 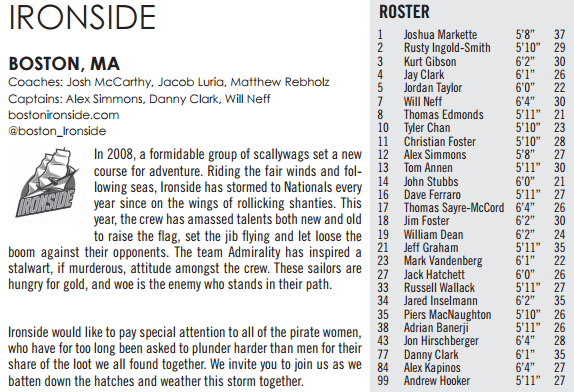 This is Ironside's 1st national championship. 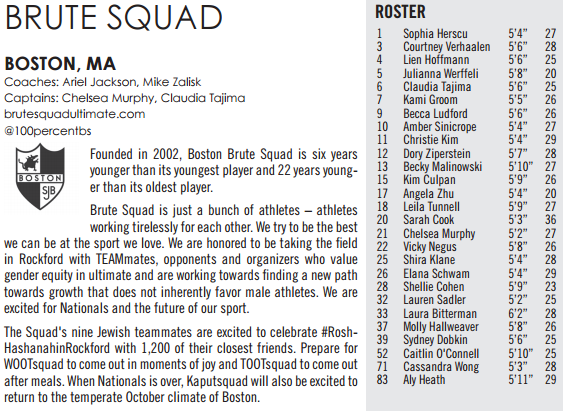 In a repeat matchup from 2015, Boston Brute Squad [#2 seed] won 12-11 (7-8 half) over Seattle Riot [#1 seed]. This is Brute Squad's 2nd consecutive club ultimate championship.